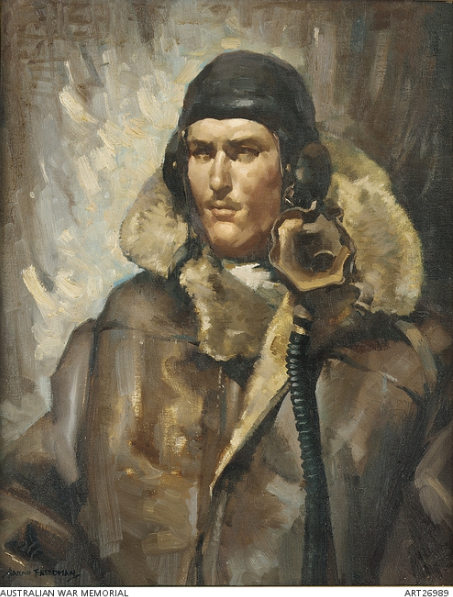 Images source: (left) Portrait of 402745 Flight Sergeant (later Pilot Officer) Rawdon Hume Middleton VC, RAAF, attached to No. 149 Squadron RAF from Australian War Memorial website; (centre) UK. C. 1942. Portrait of 402745 Flight Sergeant R. H. Middleton VC, taken while he was undergoing training from Australian War Memorial website; and emblem of Middleton Public School, taken from school website. Rawdon Middleton has some fascinating and well-known ancestors. Reading through Stuart Bill’s biography, it appears as if adventure is a hereditary trait. Here are some family highlights. Middleton’s great-great-grandfather, Andrew Hamilton Hume was a major in the British regiment in Belfast. When an Irish rebel approached Hume secretly asking for passage to America as a free man rather than transportation to Botany Bay as a convict; Hume hid the fugitive while he discussed the proposal with his colonel. When the colonel reneged on the deal – sentencing the Irish rebel to the penal colony – Hume, feeling betrayed, challenged his colonel to a duel using pistols. While the colonel was only wounded, Hume was to suffer more. He was courtmartialled and cashiered (dismissed with disgrace) for his part in the incident. While a friend, Sir Francis Rawdon, found him employment intially, Rawdon’s daughter was besotted with Hume. Due to the disgrace of being cashiered, Rawdon dismissed his friend rather than risk bringing shame on the family name. However it is to be assumed that Hume bore no grudge as the name ‘Rawdon’ featured in his descendants as a middle name or first name. Hume’s troubles were far from over. Major Hamilton – a wealthy and childless uncle who originally intendedtaking on Hume as an heir – disinherited him. With no prospects, Hume turned to farming but was unsuccessful. He took up a position in charge of the guards on a convict ship bound for Australia. Hume commenced his journey on board the frigate Guardian, taking convicts and supplies to assist the first settlers. The ship was damaged near Cape Town, South Africa; Hume completing his journey on the Lady Juliana and arrived in Sydney in June 3, 1790. Because Hume had some knowledge of farming [he attempted it but found he was unsuitable for it and became in charge of convict guards] he was sent almost immediately to Norfolk Island to instruct the convicts in the cultivation of flax and the manufacture of cloth from flax. However, the project was not successful and in 1794, after Hume had returned to New South Wales, he received a grant of thirty acres of land at Toongabbie Creek. Although he then found himself living amongst a group of Irish ex-convicts who had settled in the area and were doing a thriving business as sheep and cattle thieves, he lost nothing, not even a hen’s egg because the word of that simple deed of honour in duelling with the colonel in defence of an agreement not to banish the young rebel, Michael Dwyer, to Australia had spread amongst them. Family and friends in Middelton’s family line. (Left) Andrew Hamilton Hume; (centre) Sir Francis Rawdon, also known as the 2nd Earl of Moira and later the first Marquess of Hastings; (right) famous explorer Hamilton Hume who completed the first journey from Sydney to Melbourne. Sources: Wikitree website; Rawdon Historical Society website and Sydney Morning Herald. The eldest son of Andrew Hamilton Hume and his wife Elizabeth, née Kennedy, Hamilton Hume was born on 19 June 1797, near Parramatta, New South Wales. In 1814, seventeen year old Hamilton made his first journey of exploration. He, his brother John and an Aboriginal man set out from the family property of 100 acres at Appin and made their way to the Berrima-Bong Bong district. Over the next two years, Hume made two more solo journeys penetrating as far as the Bungonia district. Hume’s exploits were noticed by Governor Macquarie who, in 1818, asked him to accompany Charles Throsby and James Meehan to the County of Argyle. Argyle County was one of the original Nineteen Counties in New South Wales and is now one of the 141 Cadastral divisions of New South Wales. The county was named for Governor Macquarie’s Scottish heritage. It included the area around Goulburn and has stretches to Lake George in the south-west, the Shoalhaven River in the east and the Wollondilly River in the north-east. Also in 1818, Hume joined John Oxley and Meehan to Jervis Bay. In 1822 Hume joined up with another famous explorer, Alexander Berry, down the south coast of New South Wales. Hamilton Hume is most famous for joining with William Hovell in an expedition that took an overland route from Sydney to Port Phillip (near the site of present-day Melbourne). Along with another famous Australian explorer, Charles Napier Sturt, he was part of an expedition of the first Europeans to discover the Darling River. Hamilton Hume’s exploits are significant as he received little formal education (being educated at home by his mother) and for the fact he was the first native-born white explorer. He also is remembered for his bushcraft skills and for developing positive relationships with many Aboriginal people, even learning some of the indigenous languages. Hume’s work as an explorer was done by the time he was 31, but it was very important. Despite his background he had to contend with the contempt of authority for the colonial-born. Such recognition and remuneration as he received stemmed entirely from his own energy, resource, and from the determination that brought the 1824 journey to a successful conclusion. By nature he was generous and genuinely fond of his many nephews and nieces, most of whom benefited from his will. Hamilton Hume and his wife, who survived him by thirteen years, were buried side by side at Yass cemetery. Portraits of both are at the Mitchell Library, Sydney. The main highway between Sydney and Melbourne commemorates his contribution to Australian exploration, as do the Hume Dam and Lake Hume, on the upper reaches of the River Murray. One of the many nieces to benefit from Hamilton Hume’s generosity was Jessie Hume, who in 1868 married Albert Middleton. 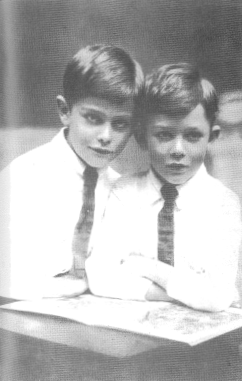 They had five children, the youngest was Francis Rawdon Hamilton Middleton who was known as “Frank”. Two years after Frank was born, Jessie died. Albert and his five young children grew up on the property called Broughtonsworth, near Boorowa. In 1891, Frank was enrolled as a day student at Stanmore’s Newington College. After leaving school, Frank was employed as a solicitor’s clerk in Yass. In the early 1900s he returned to Sydney briefly before moving back to the country to work on a property at Arrowfield, near Muswellbrook. While Frank Middleton was establishing himself at Arrowfield, the Millar children were growing up on the family property in the much harsher country further west in central New South Wales. Joseph Millar, who had married Mary Strickland and settled on the land at Forbes, was making a modest living from cattle and sheep grazing and like so many families of those days there were quite a few children to be fed, clothed and educated, not without considerable hardship. There were the five girls, Vivienne, Faith, Jessie, Ethel and Elsie as well as two boys, John and Blake but the mother died when the children were young and so they were reared by their grandmother. As the children grew up they moved away to obtain work, Ethel and Vivienne going to Sydney and the other children elsewhere. Prior to the First World War, Faith Millar was living on the property, Edderton, near Muswellbrook. Stuart Bill states that it seems likely that Faith got to know Frank during this time. It wasn’t long before both of them were working on the same property, Warrah. Faith was governess to the children of James Henry, then property manager of Warrah on behalf of the London-formed Australian Agricultural Company. Frank’s role was property overseer. Once romance had blossomed, Frank and Faith were married. the date of their marriage was May 5, 1914 and they were married by the Reverend Robert McKeown at St Mary’s Church of England in Waverley. A house next to the shearing shed at Warrah became the Middletons new home. The couple continued to work on the property. Rawdon was born while the Middletons were still at Warrah, with Faith travelling to Waverley in Sydney where Rawdon was born on July 22, 1916. Rawdon’s brother, Osman, was born two years later. The Middleton boys had only to cross the creek to get to school – they were closer than anyone else. I used to drive down to the school in a horse and sulky with the only teacher, Mrs McKenzie, who boarded with us on Roseview [the Bunter property], and on the way we would pick up Sophie Curran as well as Merv and Belle Lawrence – we would have quite a load. Sometimes the children we picked up might be halfway to school when we reached them but you couldn’t put them all in the sulky as there wasn’t enough room. And I can always remember when sitting next to Rawdon in school how particular he was with his pen when he was about to write anything – he would get a piece of blotting paper and carefully clean the point of the pen and make sure the writing was perfect. Due to declining numbers, Buramilong School was closed at the end of 1929. Both Middleton boys went to Gilgandra Public School, where Rawdon excelled at both cricket and tennis. 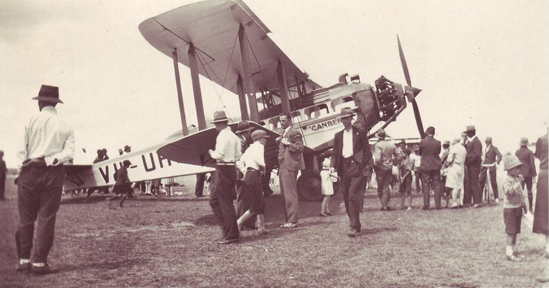 In 1931 Rawdon experienced his first flight in an aeroplane, with Captain Les Holden taking members of the public on joy-rides on the Canberra. By 1933 Rawdon was attending Dubbo High School. He boarded with different families to save the long commute each day. During the year, the school had a guest speaker, aviator Charles Ulm. Ulm had been part of Charles Kingsford-Smith’s party to complete several firsts – the first non-stop flight across Australia and the first flight from Australia to New Zealand. 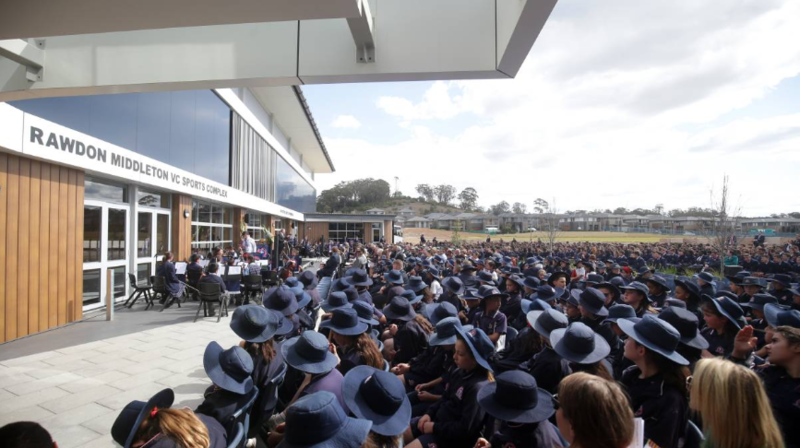 However Rawdon was unable to complete his final year of high school at Dubbo High School. As Stuart Bill reports, the owner of Alloway returned from England and therefore had no need of a property manager. Frank Middleton found similar work at Sunnyside, a property located at Kentucky, 230 miles to the north east between Tamworth and Armidale. When the work here came to an abrupt end, the Middletons moved to Tamworth, living on Hill Street. The year 1935 had almost ended by the time Rawdon found work as a jackeroo on White Rock, a property of 6,000 acres next to Coolatai Creek four miles from Coolatai, a small settlement about 150 miles north of Tamworth. It carried sheep and some lucerne and was run in partnership by Farquhar Mackenzie and his much younger brother, Jock. When he eventually wanted to learn to fly his father said he could afford to put him through then so Rawdon was doing a correspondence course. I can remember that because I gave him my trigonometry book with logarithms in it so that he could study at night. Frank Middleton’s term as manager of Nebraska was coming to an end. He was getting on in years and was becoming tired of packing up and moving every few years and when my father mentioned to him that he wanted a manager for Leewang he jumped at the idea. Leewang was one of a number of mixed farming properties around Bogan Gate on the eastern, western and southern sides which had resulted from the subdivision of Burrawang in the 1890s and after World War I. Early in 1939 Rawdon was appointed as overseer…. 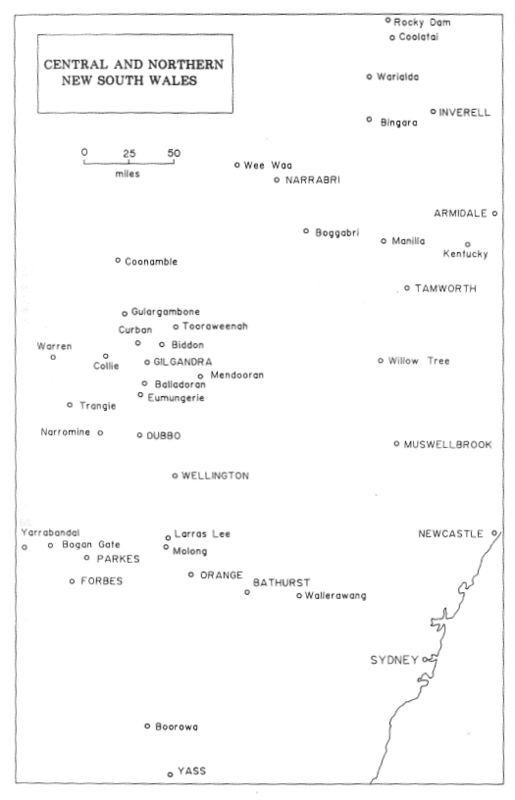 Settlements such as Yarrabandai and Bogan Gate were quite small but were centres for rather large districts. For example, Bogan Gate drew on about a hundred farms within a ten-mile radius with life being centred on the church, tennis courts, local hall and the recreation ground which was used for cricket and football. …..Rawdon was a more retiring type but a person one always liked to have as a friend. He played cricket with the Yarrabandai team, the only occasions on which he played cricket at Bogan Gate being the inter-town matches. He was the only person I ever saw who could top-spin a tennis ball a foot from the ground. Stuart Bill also interviewed Percy Hawke, the owner of Springfield, to the north of Yarrabandai, who was active in tennis at the time. Yarrabandai was quite a community then with three streets and we had six courts all but one of which were used for weekend tournaments – we kept one for the children. Rawdon played tennis there occasionally but more often at Bogan Gate. 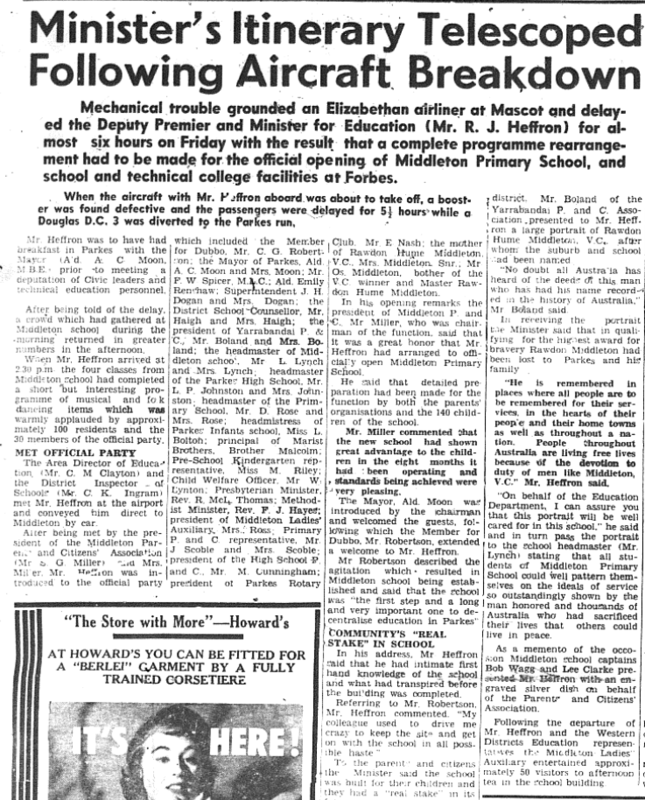 … he undertook a comprehensive medical examination and was placed on the RAAF Aircrew Reserve and while waiting to be called up undertook some study as was expected of men on the Reserve. At about this time Osman joined the Light Horse. [Rawdon] wanted to be an airman and wrote an essay about it when he was a small boy which won a prize – I remember hearing this from his mother. He was going to be a flier right from the beginning – it was the only thing he wanted to do. Things were very primitive which were made even worse by some bad dust storms. We had straw palliasses and a couple of blankets, although it was really too hot for blankets. and there were no sheets. You had to go over to a shed and get this very old straw and stuff it into your palliasse and that was your mattress. The huts weren’t lined and in January, it was really terrible, you couldn’t sleep it was so hot. We wrote a few times and I made him two pairs of socks – you made everybody socks when they went into the Army or Air Force. He wrote to me thanking me for the socks and I think that was the last letter I had from him – he was just about to go away. I remember being present at the send-off and presentation to Rawdon because I was asked to make a speech on behalf of the local Country Women’s Association, and as it was only the second speech I had made in public, I was very nervous. 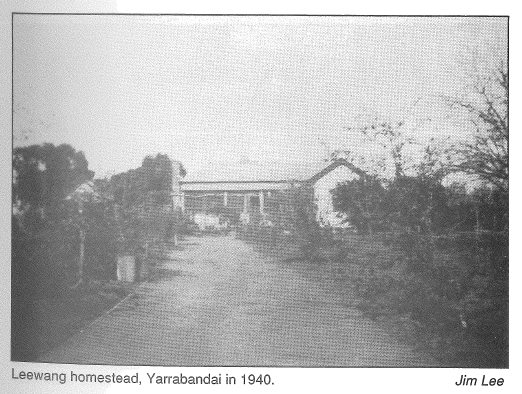 The hall at Yarrabandai was the venue for many such functions as the people of the district gave a farewell and made a presentation to all local soldiers and other servicemen who were about to go away. …… The farewell would take the form of a dance, usually on a Friday or Saturday night. We would pay for an orchestra and then charge everybody to come in and the ladies would provide the supper – there was always supper afterwards with the farewells at Yarrabandai. I can’t remember Rawdon dancing but I’m sure he would have done so and we probably gave him a pen, but I can remember Mrs Middleton sitting across the hall from me – she looked very pale – and it was the only time I saw her at Yarrabandai. It was a sad occasion yet in some ways it was a happy one because all the people were enjoying themselves. Rawdon returned to Bradfield Park on February 22, 1941. Further training was to be done in Australia, Canada or Rhodesia (now called Zimbabwe). Rawdon didn’t want any delays and applied for further training overseas. He was now attached to the Royal Canadaian Air Force (RCAF) for service flying training. Later that same day, he boarded the 13,500-ton Awatea which was bound for Canada. When Middleton and his fellow trainees arrived in Canada, they were stationed at Camp Borden in Ontario. Here Middleton would encounter a new obstacle to flying training – snow! The colder weather resulted in Middleton catching pneumonia. Bill states that he was well enough to attend his graduation at Camp Borden, but hospitalised by the time it was embarkation for Great Britain. The delay due to convalescing resulted in an incident that highlights the gentleman that Rawdon Middleton was. The carriage was full of airmen and they were making innuendos knowing that I was newly married and was on my way to rejoin my husband in Halifax. I became terribly embarrassed and upset but I couldn’t see anywhere else to go on the train – there were men everywhere. One airman, who proved to be Rawdon Middleton, saw that I was miserable and upset and apparently noticed I was wearing an RAAF wings brooch which my mother-in-law had sent men. He came over and said ‘I see you are wearing a pair of our wings – why don’t you come over and talk to us?’. So I went and joined them – they were extremely nice to me. I can still see him – he was a very nice, gentle boy and very good looking. When we arrived at Halifax my husband was there to meet me and when I told him what had happened he went over to Rawdon to thank him. The three of us dined together on more than one occasion as Rawdon was in Halifax for several days before he sailed. Later on I wrote to his mother to say that I had seen him when he was on embarkation leave. After Rawdon had visited us in late September and early October we heard no more until Boxing Day when he was in Bournemouth again and he telephoned. 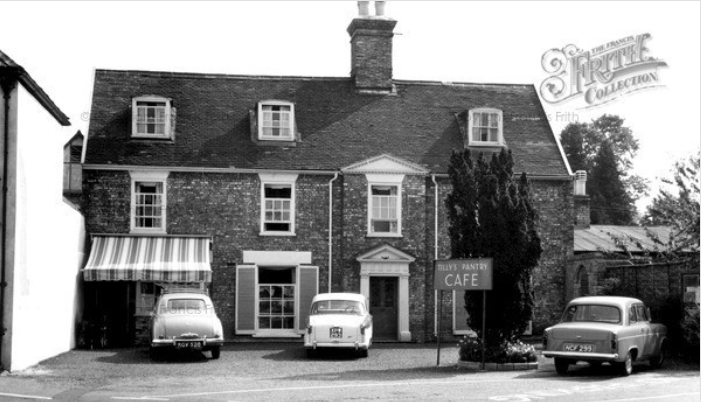 We had several guests but asked him to join us, which he did, and we had a jolly evening and the next day we went by bus to Broadstone, a nice country town in Dorset where I had friends. The following morning – it was Sunday – I thought Rawdon would stay and chat with me while my father went to a service at All Saints Church in Branksome Park but when I went into the front room I found that he was all ready to go with father, which surprised me, but nevertheless pleased me very much. Of course he was a very nice person and I think it was wonderful that he would go with an older man to a church he knew nothing about. I stayed at home to prepare the Sunday lunch and that afternoon we went to tea and supper with friends, the Spicers, who lived in a very nice home not far away. Next day I took Rawdon to a concert in Bournemouth and on the following day (December 30) he had to leave. I don’t think we ever saw him again. The RAF needed to build a land-based bomber from as many tooled up components as possible so they actually took the fuselage away from the Sunderland flying boat and built a new one. The extra three degrees given to the angle of the main-plane greatly increased the lift but it also slowed the aircraft down. It used to labour to gain height and when it was empty it wallowed all over the place but when fully laden it was faster than any of the other bombers, including the Lancaster. Its undercarriage was a double undercarriage, that is, it didn’t just fold up once it went up half way and then up again. We used to call the Stirling an ‘Old Mother Riley’, the character in the old films who wore big boots and used to pick up her skirt and run with her legs wide apart – the Stirling used to look like this. Some Stirlings would pull viciously to one side on take-off and if the speed dropped below about 112 knots they would begin to stall. The method of landing them was to stall them at a safe height and once the speed dropped below that figure they would start to sink. The tendency then was for the aircraft to rear up onto its tail in an agonisingly long drawn-out stall and then fall over towards either the port side or the starboard side depending on the particular aircraft. Different Stirlings behaved in different ways and is one reason why it was necessary to have test pilots to fly them when they came off the production line and to prepare notes on the characteristics of each one. These notes would remain with the aircraft concerned to assist the pilots who would be flying it later. Dances were a great outlet. Each week a dance was held in the hall in Beck Row for service personnel although some of the village girls used to go too……. One day in March 1942 I had just gone out the front door of the hospital on the Mildenhall station when an airman on his way to the Sergeants’ Mess said hello and when we passed again a short time later he asked me if I was busy. I can remember replying “Not too busy at the moment” and he said “Can we talk later?” and mentioned that his name was Middleton. 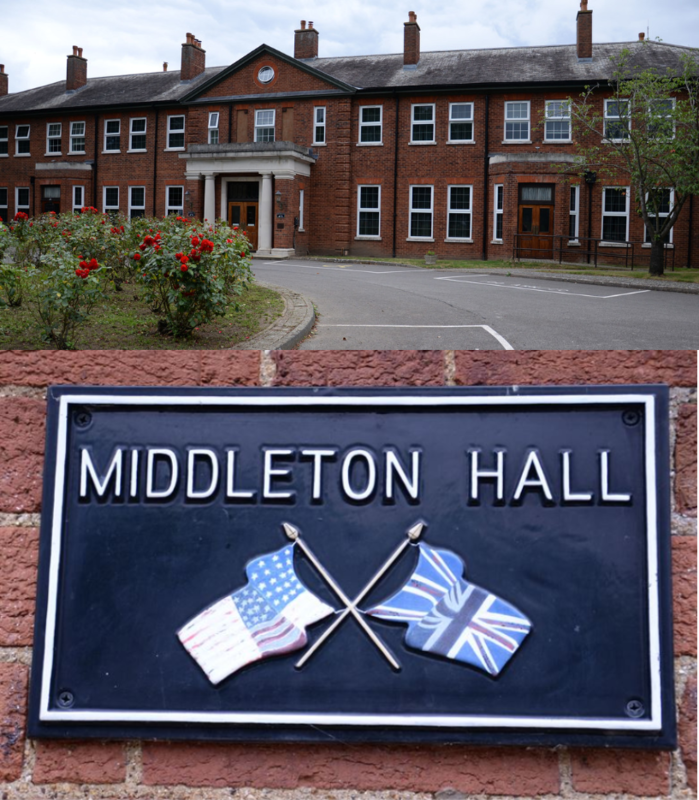 I didn’t think any more of the incident until I had to go off somewhere and when I came back one of the girls said “There’s a message for you – somebody by the name of Middleton would like to see you this evening and will meet you at the entrance to the hospital”. We met and he said he couldn’t go anywhere that evening so we just walked around the camp chatting and arranged to meet at Tilley’s Pantry in Mildenhall when I next had time off. Sometimes I might get an hour off in the morning but if that wasn’t possible it would just be a phone call. I would look forward to the times when Ron used to give me a quick ring at WAAF Sick Quarters where I was in charge. Sometimes he would say “Have you go twenty minutes, just twenty minutes to spare?” and hoping it was convenient I would say to my girls “Can I just pop into Mildenhall?” and then I would meet him in there and we would sit and chat. He used to talk a lot about his home and his life in Australia – it was so far away but he brought it to Mildenhall for me. He spoke more about Osman and his father than about his mother and he used to listen to me about my parents, and I said when we get a chance and we’re both off at the weekend we could visit them in Wiltshire but we didn’t have any opportunity. I used to show him the letters from my mother and also the local paper my mother used to send me each week. We would talk about life when the awful war was over and he would tell me different things about Australia such as the sheep farms and the great distance between neighbours. We talked about all sorts of things but never about flying – we forgot about that part of the war and we were just praying it would be over soon. He had asked me if we could become engaged and planned it for the following Christmas and of course I said yes as I had fallen deeply in love with him. I remember, too, that he loved children and would always say hello when he saw them. I prayed every time he went on ‘ops’ that he would be brought back safely to me. He would let me know as soon as he had arrived back but if he couldn’t get to a phone immediately, Eddie, a telephonist I knew of the exchange at Lakenheath used to give me a ring and say all the planes had returned. Ron and I didn’t get much of an opportunity to go to the cinema or theatre because the flying became very constant – there weren’t many trips cancelled because of bad weather either here or over the target. The boys would have to be careful coming back because if the weather closed in they could be diverted anywhere – the whole of the south of England could be covered. Stradishall had FIDO (for lifting the fog) but not Mildenhall or Lakenheath. It could be quite frightening too out there on the roads if we had to go out in the ambulances. 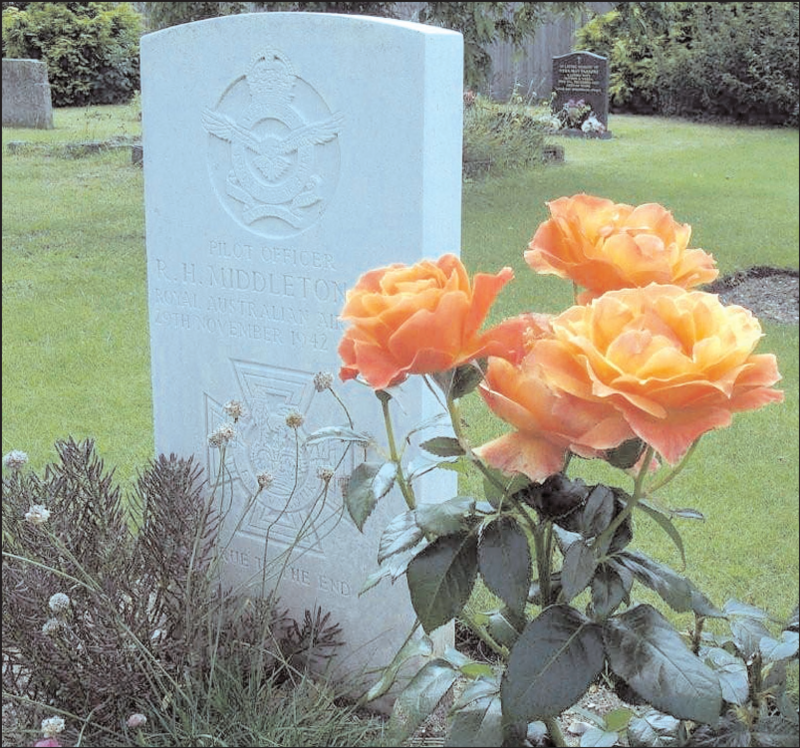 Sadly, Mary Giddings would be yet another one to lose their beloved during war time, as Middleton was due to fly to Turin – the last flight he would make. November 28-29 would turn out to be Middleton’s last flight. Stuart Bill describes the preparations for this fateful flight. Four Stirling crews from No 149 Squadron, including Middleton and his crew, were detailed with other crews from No 3 Group to bomb the Fiat Works in Turin. 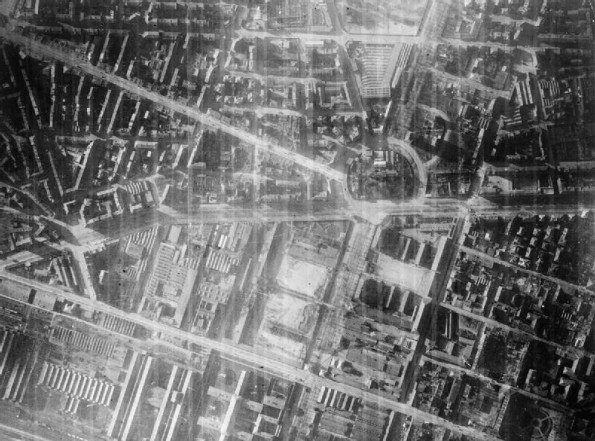 The attack was to be a separate operation from the attack on the city and was to be made at a low level using incendiaries and general purpose bombs twenty minutes before the main force bombed the city. Middleton would fly in Stirling BF327 OJ-H, a veteran aircraft that had been used for sixty-five previous operations including three occasions when he was first pilot…. Flight Sergeant Leslie Hyder, who was beside Middleton in the ‘second dickie’ seat, was the least experienced member of the crew, this being only his seventh operation. Pilot Officer George Royde was the navigator, Pilot Officer Norman Skinner was the wireless operator while Sergeant James Jeffery continued in his role as flight engineer. All three gunners were very experienced by now. Sergeant John Mackie, the front gunner and Sergeant Pete Gough, the rear gunner had both completed their tours several operations earlier but had obtained permission to remain with Middleton until he had completed his tour, this operation being his twenty-ninth, that is, his second last before being eligible for a rest. Flight Sergeant Douglas Cameron, the mid-upper gunner, was now well on the way to completing his third tour of operations. There was no moon and we would normally have crossed the Alps several thousand feet higher but Middleton decided to go on and make his way through the mountains. The front gunner was told to watch ahead and everyone in the bomber began looking out at the sides of the mountains. We could see patches of snow – white against the dark shadows – and there was an anxious moment when the shadows closed in and the front gunner reported “Mountain straight ahead”. Middleton said “We’re coming to a dead end” and opened the bomb doors to jettison the bombs so that we could climb to safety when the front gunner called out “It’s there – look to starboard”. Far to the right and below us we could see the lights of Turin and British planes lit up in the sky above the city. We closed our bomb doors and turned to fly down the Mount Cenis Pass. Middleton asked about the petrol and the flight engineer said if we went down low we might not be able to get back to base. Then Middleton asked if we could reach an airfield on the south coast of England and the flight engineer replied that we could. “Right, we’re going down,” said Middleton. As we neared Turin Middleton skilfully [sic] weaved his way down through the light flak and the flares. When we went down to identify the target Ron didn’t think it was the right one so he made a second run. He finally identified it and said “We’re running on” and as they were doing so, with the bomb aimer about to let the bombs go, Ron suddenly said “Oh my God I’ve been hit” and then collapsed. A shell had burst in the cockpit between the pilots taking out his right eye and part of his face – what terrible pain the man must have been in. We had never expected it to be like that. Second pilot Hyder was also severely wounded by the bursting shell, mainly in the body and legs. Skinner also had a leg wound and the cockpit’s windscreen was completely shattered. As Middleton was unconscious, the aircraft started plummeting. 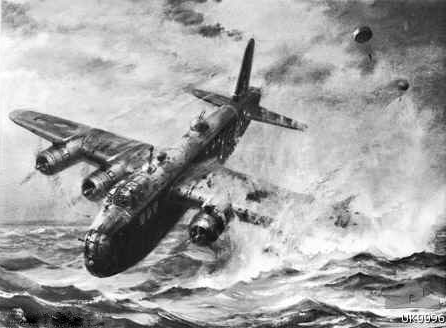 Despite his injuries Hyder managed to level out, keeping the Stirling at a height of 800 feet. Realising that the plane had taken so much damage that it would be unable to continue on to its target, Hyder took the plane up to 1,500 feet and when close to the outskirts of Turin, dropped the load of incendiary bombs. By this time Middleton had regained consciousness although he was still in a dazed state when he gave an order to abandon the aircraft, but fortunately Hyder, showing great presence of mind considering his injuries, countermanded the order immediately. Meanwhile the three gunners were continuing to fire against ground targets when the rear turret was suddenly put out of action by a direct hit. And when well clear of the target area Middleton took over the controls, sending Hyder back to the aircraft bed where Cameron was able to provide first-aid treatment. Hyder had been badly hit. The wounds on his face were dried with gauze and his hand, which had been torn, was dressed with a pad but he refused to have a tourniquet put on his wounded leg. “I want to go back and help Ron” he said, knowing Middleton might lose consciousness again and he shambled past me, head forward, looking in his determination like a wounded bear. I could see the blood stains on his flying suit as he passed the lights on the engineer’s panel and I could not imagine how he kept standing. With both pilots suffering serious injuries and the Italians still firing on the damaged aircraft, the crew suggested to Middleton that he fly to North Africa (to avoid the climb over the Alps) or for them to parachute into Switzerland or German-occupied France. Middleton, despite finding it difficult to speak from his wounds, was adamant – he would get them back to England. It’s not very pleasant if you have to bale out over the target especially knowing there are still more incendiaries to be dropped. Besides the Italians wouldn’t take you alive then – they were either shooting our chaps or hanging them at that stage. We had a big job to climb again with the Alps so close even though we were no longer carrying a bomb load but we managed to get through. The Swiss, who were neutral, would put up a few shots if you ever went near them otherwise it would be an offence to Italy, but we were miles away. When we were near Lyon [city in south-east France] we suggested to Ron that we head for Spain as there were known escape routes and we all carried photographs for identification and special compasses sewn into our uniforms but [flight engineer] Jeffery said he thought we had enough fuel to make it back to England. To lighten the aircraft and so conserve petrol we had begun to throw out everything possible – my guns had to go as well as the huge boxes of ammunition stacked the full length of the fuselage on both sides and we even threw out the seats. We had two tomahawks and hacked the aircraft to bits – it took a couple of hours to get rid of everything we possibly could. The north wind had dropped a little so made better headway than expected. There was still little hope of reaching England safely, however, and Middleton must have realised he could have baled out or crash-landed on the flat plains of France but he had made up his mind to get his aircraft and crew back to England even though his wounds were serious. 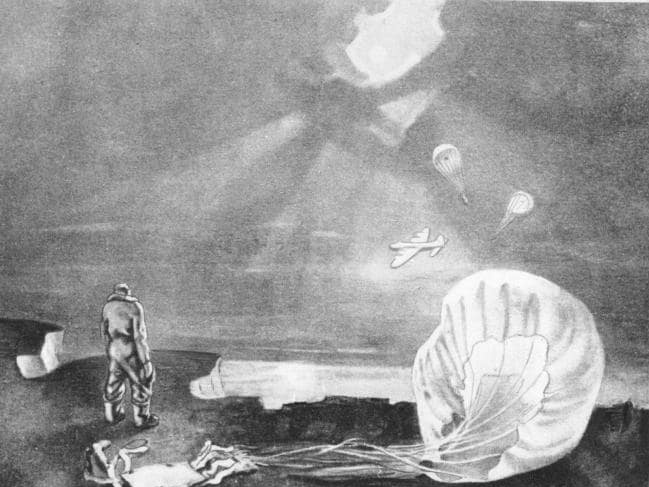 When we were over northern France I saw a flash of light above me and realised it was a reflection of searchlights on the astrodome. We had been coned by about twelve of them and then more light flak hit the wings. Despite the effort of flying the aircraft for such a long time when he was so seriously injured, Middleton had put the aircraft into a dive to escape from the searchlights and flak and had dropped from 6,000 feet to 600 feet by the time we began the Channel crossing. He was an artist at throwing a bomber around. In unimaginable circumstances, the teamwork and camaraderie displayed by Middleton and his crew is exceptional. Middleton’s determination to get to England was matched by Hyder’s to remain by his pilot. The crew were busy readying parachutes for all on board, realising that each second counted. Once Middleton saw the English coast, he was advised that due to the strong north-easterly wind it would be best to fly at least two miles inland. Jeffery advised Middleton that there was maybe five minutes more fuel but definitely not ten minutes more. While Douglas Cameron had done quite a few parachute jumps with paratroops at Manchester, the rest of the crew were relatively inexperienced jumpers. Mackie helped the severely injured Hyder to get his parachute, making doubly sure that Hyder was grasping the ripcord. So Gough, Hyder, Skinner and Royde followed Cameron in quick succession. Mackie and Jeffery remained in the plane to assist Middleton until the last possible moment. Stuart Bill believes that Middleton never had any intention of parachuting, he just wanted to get his crew back to safety. 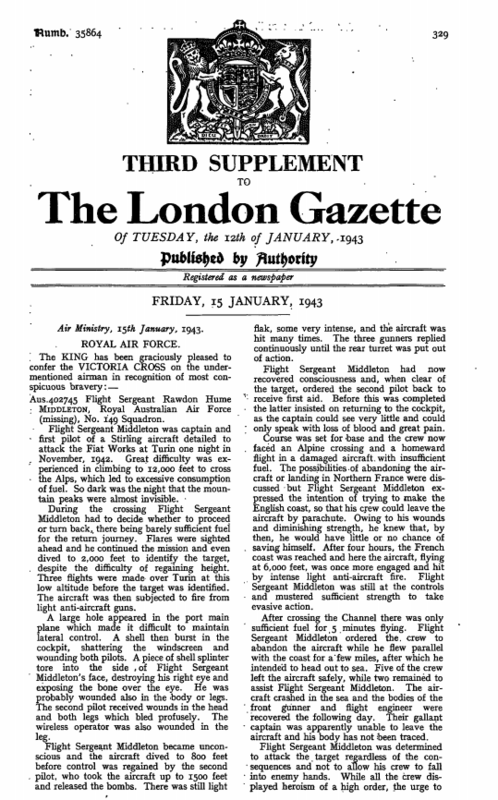 There had never been any prospect of his leaving the aircraft because the automatic pilot had ceased to function during the Turin attack, so that he, as the aircraft captain and the last person to leave in an emergency, would have no way of controlling the flight of the aircraft while he was attempting to bale out. Moreover, he would not have had the strength to put on his parachute with the speed necessary under those circumstances and escape through the forward hatch even though it was only a few feet beneath him. And presumably he would have been simply too weak to control a damaged aircraft if he had attempted to ditch without assistance and would have remained at the controls until there was no petrol remaining, when the aircraft would have plunged into the sea. It seems most unlikely that he would have survived the impact. Once when Ron was staying at my home in Scotland he received a letter from the mother of an Australian colleague. From the letter he learnt that the friend had crash-landed near Cambridge and killed a young woman and her newborn baby. Ron said to me “If ever I crash it will never be on land”. Stuart Bill sums up Middleton’s motivation and personality fittingly. Middleton’s actions throughout this flight reflected in a number of ways the personal attitudes that his close friends had come to recognise. While many considered him to be a very reserved person, and could perhaps be described as a ‘loner’, he nevertheless possessed a strong team spirit as anyone who played cricket with him will testify. His endurance for more than four hours in an attempt to help his ‘team’, despite the severe injuries he had sustained, was the quality he brought to his cricket when at school at Gilgandra and Dubbo and later when he was playing cricket at Coolatai. Those who knew Middleton particularly well had recognised too how angry he had become quite early in the war at the indiscriminate bombing of British civilians by the German Air Force. There seems little doubt that he did not want to be a party to that kind of warfare and for that reason went to great lengths to make sure he identified his target, often an industrial complex, before dropping his bomb load so that the chance of injuring civilians was reduced as much as possible. …. always thought there was a chance he would be found and often I would imagine the phone was ringing and it would be Ron talking to me. I missed him so much but never gave up hope. In early December Sergeant Mackie and Sergeant Jeffery were buried. Mackie at Alva in Clackmannanshire (in central Scotland) and Jeffery at Poole in Dorset. In the following weeks, details of the epic flight of Middleton and his crew began to emerge. On January 15, 1943 it was announced that Middleton would receive the Victoria Cross. 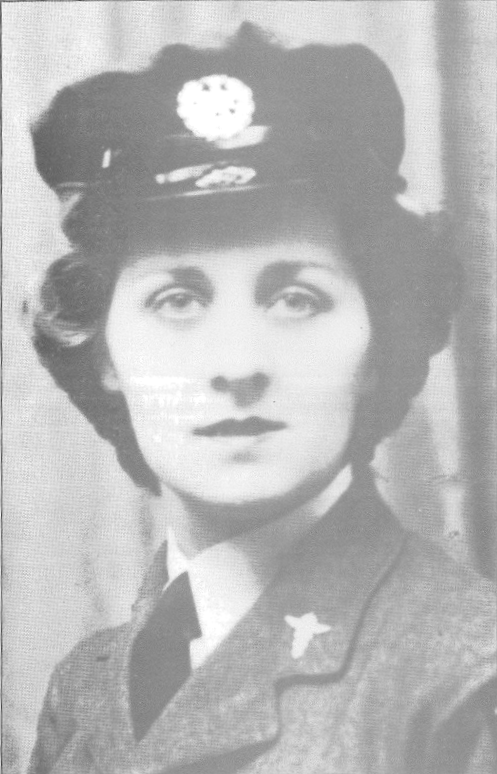 Middleton was the thirteenth airman and the first member of the RAAF to receive the award during World War II. On 1 February 1943, more than two months after Middleton had crashed, his body was washed ashore on Shakespeare Beach at Dover after which it was taken to Mildenhall where plans were made for a full military funeral, the custom for Victoria Cross winners, and the burial in the small war cemetery at St John’s Church in nearby Beck Row on 5 February. The funeral would be preceded by a vigil over the coffin in the station chapel by aircrew of No.149 Squadron after which a short service would be held before the cortege moved to the war cemetery at St John’s Church for the burial. The funeral service would be conducted jointly by the Mildenhall station chaplain, Squadron Leader F.G. Ralph and an RAAF chaplain, Squadron Leader H.C. Thrush, formerly of St Cuthbert’s Church in Prospect, South Australia. The only other Australian with No.149 Squadron at the time, Flight Sergeant E.H. Finch of Manjimup in Western Australia, was to be one of the six pallbearers, all of whom were aircrew from No.149 Squadron. The RAAF would be represented by Air Vice-Marshall H.N. Wrigley, the C-in-C Bomber Command by Group Captain H.R. Graham, the C-in-C Fighter Command by Wing Commander Strange and the AOC No.3 Group by Group Captain Gray. They would be followed by other senior officers of the RAAF and RAF as well as two members of Middleton’s crew, Flying Officer Royde and Flying Officer Skinner. The chief mourner would be WAAF Corporal Mary Giddings and accompanying her would be two Australian nurses who had begun working in England in 1937, the outbreak of war having prevented their return to Australia. One of the nurses was Doris (‘Dee’) Walsh from Coffs Harbour on the north coast of New South Wales and the other , her close friend Mary Henry who had lived on Warrah in northern New South Wales at the same time as Middleton when he was a small boy. The day came when I was told Ron’s body had been washed ashore near Dover but I still couldn’t accept it, not until the day of the funeral and even then I felt it wasn’t either me or Ron’s body there. We loved each other so much and had looked forward to so many things for the future although we had so few months together. I will always remember him as a gentle man who cared for those in his charge but above all for the love and warmth and tenderness he gave to me. Australians should be very proud of him for his courage and his thoughtfulness for others. 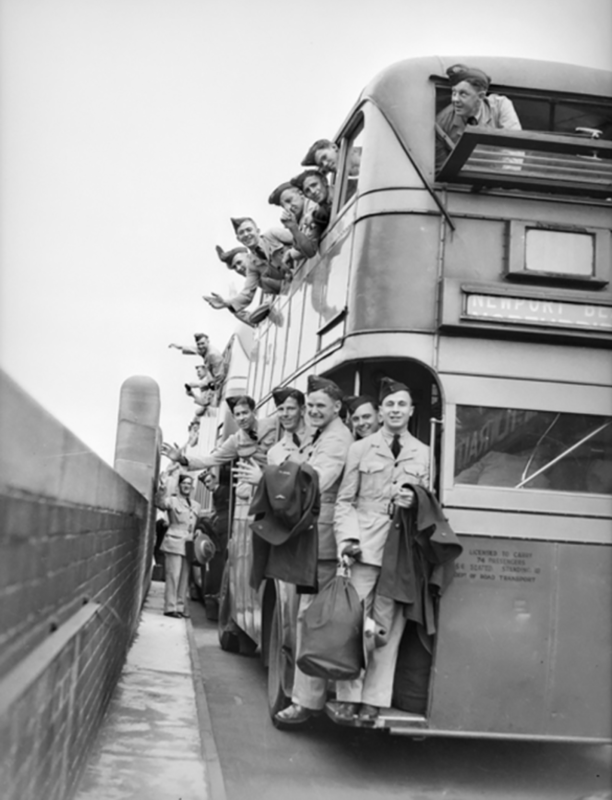 We in Britain owe so much to the men – or boys as some of them were – who came from Australia, Canada, New Zealand, Poland and other places when we needed help. 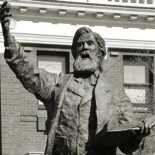 A bust of Rawdon Middleton is one of the sculptures at Garling Gallery, in the village of Wongarbon, near Dubbo. Middleton Grange was named as a new suburb of Sydney, located near Liverpool, previously called South Hoxton Park (Source: The Daily Telegraph February 17, 2008 & Geographical Names Board of New South Wales website) NOTE: The Daily Telegraph incorrectly states that Middleton was born in Dubbo, not Waverley in Sydney. staff of Parkes Shire Libraries, particularly Leon Madden. If you have stories of Rawdon Middleton that you are willing to share please contact Parkes Shire Library via library@parkes.nsw.gov.au so that they can be shared and kept for posterity on this blog. Alternatively, you may leave comments on this page. Bill, S. (1991). Middleton, VC: The life of Pilot Officer Rawdon Hume Middleton, VC of the Royal Australian Air Force as remembered by his friends and colleagues. East Bentleigh: Stuart & Lucile Bill. Middleton Named (November 8, 1954). The Champion Post, p. 3. Minister’s Itinerary Telescoped Following Aircraft Breakdown (October 21, 1957). Parkes Champion Post, p. 1. Fredericks, D. (March 26, 2019). Rawdon Middleton’s Medals[Photograph]. Parkes Shire Council. 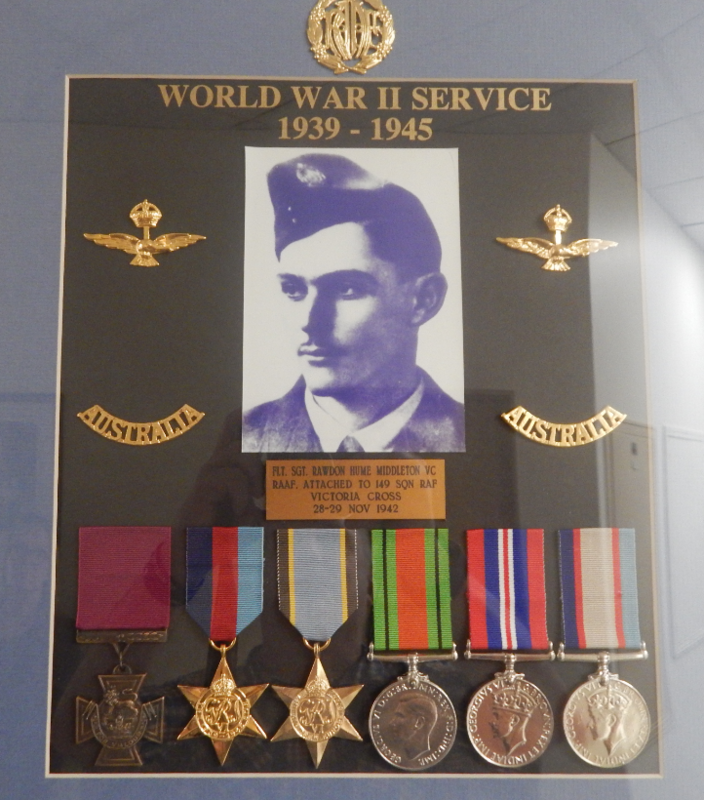 This entry was posted on April 2, 2019 by parkeslibrary in 1920s, 1930s, 1940s, 1950s, 1960s, Ancestry, ANZAC, Early Life, famous people of Parkes Shire, Fateful Flight, General history, local historical articles, Middleton In Memoriam, Parkes, Parkes Library Family & Local History Resources, RAAF Training, Rawdon Middleton, Second World War, Second World War soldiers from Parkes Shire, Uncategorized and tagged 1794, 2nd Earl of Moira, Alexander Berry, Alloway, Andrew Hamilton Hume, Argyle County, Arrowfield, Ashburnham county, Australian War Memorial, Awatea, bailing out, Bardfield Park, Beck Row, Beck Row Suffolk, Berrima, Bogan Gate, Boggabri, Bong Bong, Boorowa, Borowa, Bournemouth, British Pathé, Bungonia, Buramilong School, cadastral maps, Camp Borden, Canada, Canberra DH61, Captain Les Holden, Carbeens, Charles R Turner, Charles Sturt, Charles Throsby, Charles Ulm, Coolatai Creek, Corporal Mary Giddings, cricket, Cunningham County, Dan Fredericks, Darling River, David Smith, de Havilland, Dover, Dubbo High School, EATS, Edderton, Elspeth Crawford-Greene, Empire Air Training School, engagement, English Channel, ENSA, exploration of colonial NSW, Faith Millar, Family & Local History, fiancee, FIDO, Fiona McMillan, flax, Flight Engineer Jeffery, Flight Sergeant Douglas Cameron, Flight Sergeant Leslie Hyder, Flight Sergeant Rawdon Hume Middleton VC, fog, Frank Middleton, full military funeral, Garling Gallery, George Royde, Gilgandra, Gilgandra Public School, Goulburn, Governor Macquarie, Guardian, Hamilton Hume, heroism, Irish convicts, Italian alps, James Jeffery, James Meehan, John Oxley, Kelvin Grove, Kennedy county, Lady Juliana, Lake George, Lakenheath, Lancasters, Leewang, Leslie Hyder, Lindfield, Major Hamilton, Mary Atkins, Mary Giddings, McMillan family, Michael Dwyer, Middleton, Middleton Grange, Middleton Hall, Middleton Public School, Middleton Street, Middleton suburb, Middleton VC, Middleton VC by Stuart Bill, Middleton VC Club, Mildenhall, Molong, morse code, Mrs McKenzie, Muswellbrook, Narromine, Narromine County, Nebraska, No 149 Squadron, Norfolk Island, Norman Skinner, Oakington, Ontario, Osman Middleton, parachute, Parkes Champion Post, Parkes Library, Parramatta, Pilot Officer George Royde, Pine View, Poliot Officer Norman Skinner, Port Phillip, RAAF, Rawdon Historical Society, Rawdon Middleton, Rawdon Middleton VC Sports Complex, Ray Bunter, Ron Middleton, Royal Air Force Mildenhall, Royal Australian Air Force, Sergeant James Jeffery, Sergeant John Mackie, Sergeant Pete Gough, Shakespeare Beach, Shoalhaven River, Sir Francis Rawdon, Stirling aircraft, Stirling BF327 OJ-H, Stirling bomber, Stirling crew, Stirlings, Stuart Bill, Sunnyside, Sydney Morning Herald, Sydney to Melbourne, Tamworth, tennis, The Gazette, Thomas Hassall Anglican College, Tilleys Pantry, Toongabbie Creek, Turin, Victoria Cross, Victoria Cross recipients, WAAF, WAAF Sick Quarters, Wallerawang, war hero, Warrah, washed ashore, Waverley, Wean, Wellingtons, White Rock, Wollondilly River, Woolloomooloo, Worcestershire, Yarrabandai, Yass.